LP Ripper makes the task of converting vinyl LPs, tapes and cassettes to MP3 files or CDs much easier. Just record each side of your LP as a single WAV file on your PC. 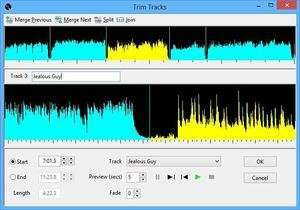 LP Ripper automatically splits the file into a separate WAV file for each track. Optionally, it can also call a MP3, Windows Media Audio (*. LP Ripper 11.0.1 is a shareware program and can be used as a demo to try the software until the free trial period has ended. A full version of the program is available after the trial period ends. For security reasons, you should also check out the LP Ripper download at LO4D.com which includes virus and malware tests. Additional screenshots of this application download may be available, too.